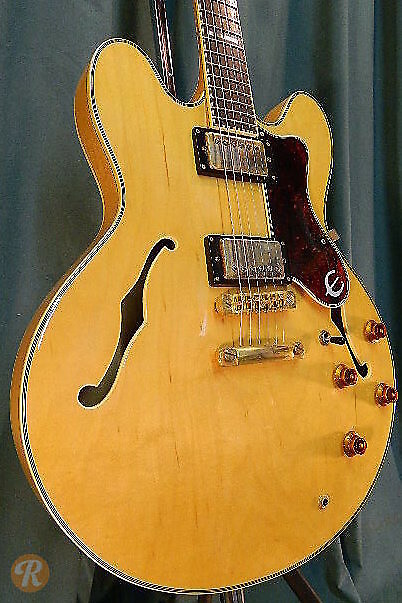 The Sheraton was introduced into the Epiphone lineup after Gibson took over the company in 1957. Unlike the Casino, the Sheraton is a semi-hollowbody with a wood center-block similar to the Gibson ES-335. 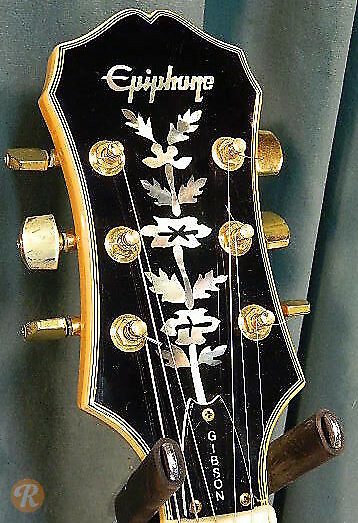 In the mid-'90s, Epiphone introduced the Sheraton II which is differs from the original in its use of a stopbar tailpiece. 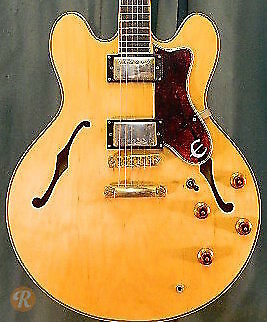 Some players consider Epiphone workmanship to have improved in recent years, so earlier Sheraton IIs are are worth less than the newest examples.